I’m getting burned out on Twitter, and well, all the social media stuff. I’ve compartmentalized my social media as much as I can. I use Twitter for mostly work stuff, and Facebook for more personal stuff (privacy controls and all.) I keep my LinkedIn up to date, but I don’t spend much time there. I’ve set up a few columns in TweetDeck where I can make sure I don’t miss updates from my friends/family and a bunch of higher ed web people that I’m interested in seeing what they say. It’s become a big bunch of noise. Foursquare updates. Updates from blogs. Retweets. “What I’m listening to.” “I’m working on something big…”, Hash tags. “I need an email provider – discuss!”, “I’m posting this to win an iPad.” All of it. 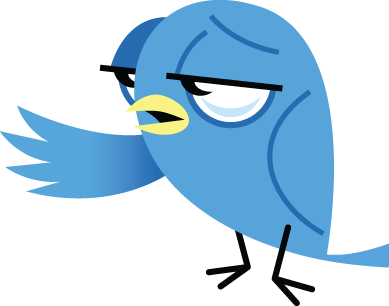 I miss the early days of Twitter, circa say 2007, when only the really nerdy web folks were on there – and it really was a nice professional development tool. I’d ask a question, Kyle James and Brad Ward and Karine Joly and Karlyn Morissette would share info, and you could get an answer quickly. Now, it feels like everyone’s shouting and it’s less about the community. I’m not saying everyone shouting is bad, but it’s not working for me. I’m at a crossroads with this tool. I find myself thinking about the best way to use Twitter. I’ve un-followed the people who were generating literally hundreds of tweets a day or those that haven’t updated this year. I’ve done some organization. A) Selectively follow the people I’m interested in and manage it with a few tools. B) Give in to the machine and follow back the over 700 people who follow me. This will dramatically increase the noise, but some creative filtering and grouping would ensure I’m still getting some information that is of value. This will require a bit more effort, but may be worth it in the long run. C) Chuck it all into the bin. What method works for you? Which (or some combination of both) is the best way to get value of the tool? Previous Previous post: Attend Web Design World On the Cheap!